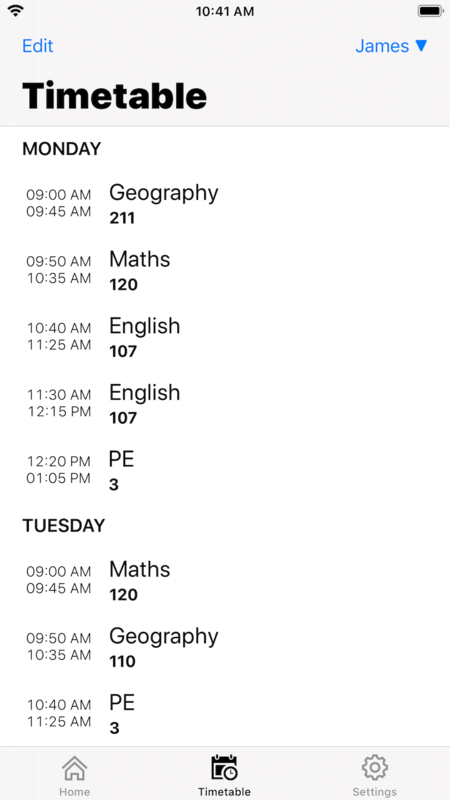 NicePlan is a clear, simple and smart timetable. Don't have much time? Just take a look at the Home tab or the widget. They'll intelligently show you the things you need to know the most. Are you a parent? 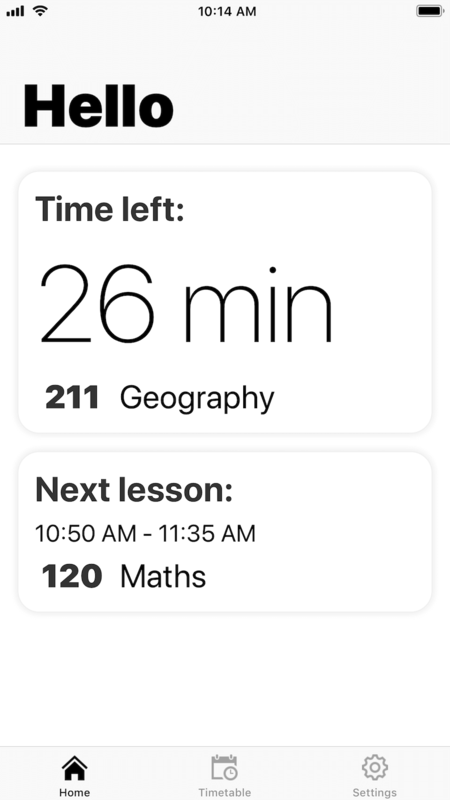 NicePlan will let you get your kids’ timetables under control! * On the Home tab you will find a practical summary of all timetables. 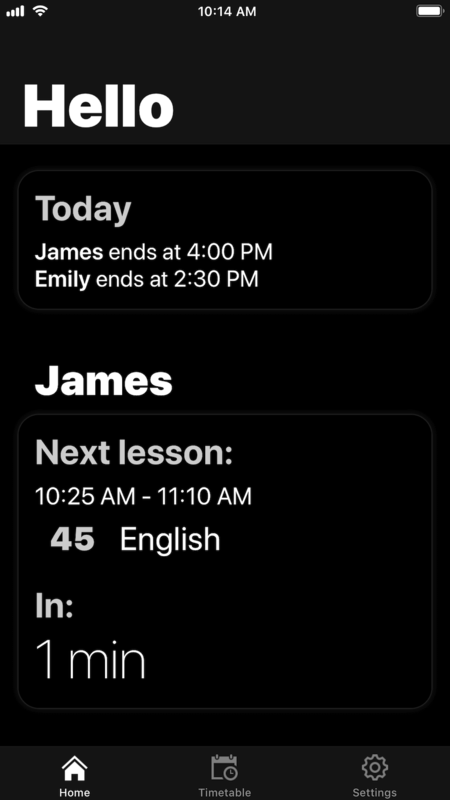 NicePlan is suited with convenient lesson editor, import and export features*, modern and simple design, dark mode*, A and B weeks* and a widget. See the information even without unlocking your phone! 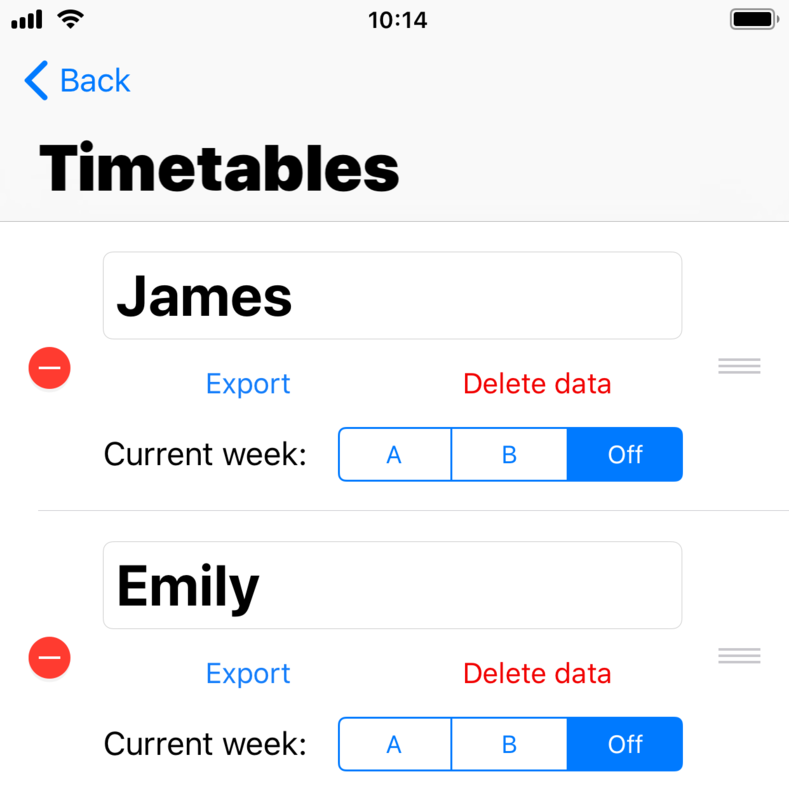 You can add timetables for multiple children*. This allows for a contextual card to appear at the top of the home screen. It contains a summary of all kids' timetables - you can see when they start or end school at given day. *Requires In-App Purchase Apple, the Apple logo, iPhone and 3D Touch are trademarks of Apple Inc., registered in the U.S. and other countries. App Store is a service mark of Apple Inc., registered in the U.S. and other countries.